Headquarters offices situated in Muyenga but the Nursery is located at Konge off buziga road in makindye Kampala, Our Nursery is sitted on over 1/2 acre of beautiful, fertile soil. We are in the process of planting trees for use on our customer’s projects. We are excited to be able to have our hand in growing the trees that will provide you with shade and beauty for years to come. Stay tuned for more information. 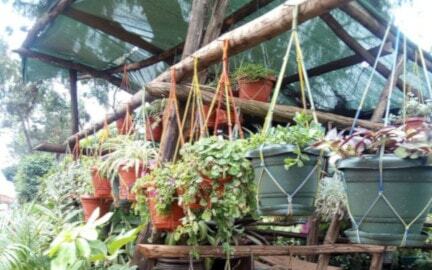 In addition to trees, Green Yard Gardeners has a fully stocked place, where Annual Flowers, Vegetables and Mums are cared for and prepared for installation in our clients’ gardens. Mahogany, calpitus,bahonia,jacaranda, flame tree, African fine pine,cossode tree, . This are some of the available ground covers we have in our nursery;Lantana, Barliria, blue daze, udelia,moses in the boat, purple heart, kniphofia, Nanas,codium variegetam,Singonium podophilum,Ajuga rapetum, himigraphis altanata, Gabila jameson. Green Yard Gardeners company, we do supply manure, black soil(Top soil), Gravels, Oval stones(White & Black) at an affordable prices. We have;Royal Palm, Alexandria,Travelus,Queen palm,Fish Tail, African wild date.